Ok so you already know how to build your android library and publish it to JCenter/MavenCentral. This post is third in parts of a series. 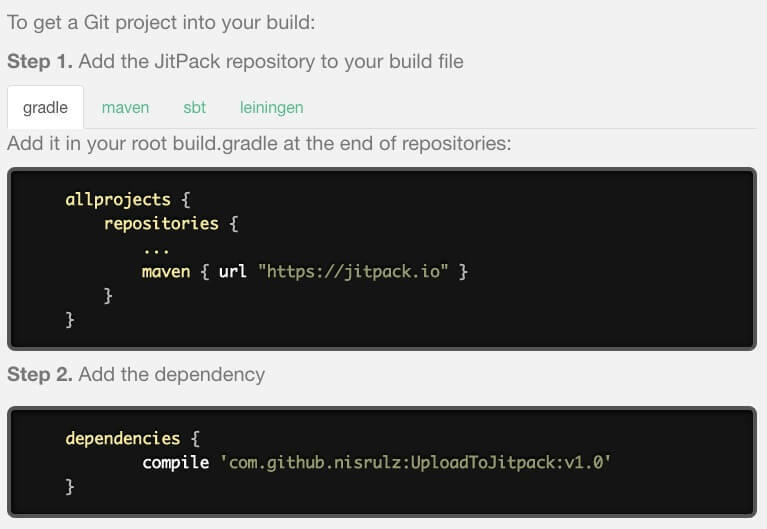 So basically JitPack builds Git projects on demand and provides you with ready-to-use artifacts (jar, aar). Why would I use it instead of JCenter or MavenCentral ? Publishing to MavenCentral or JCenter is a well set process which involves people to go through steps in order to let their artifacts be hosted on these repositories. The process also involves you to wait for a certain few hours to get everything synced up. Head over to JitPack and request to publish the release. …and thats it. You have your library code available in just few minutes. It just works! Cool , isn’t it! I will walk you through the process to help understand the process in a more practical mannner. The first step that you need is to create and build your Android “Awesome” Library, which can be read in the first post of this series here. If you have not done so , then please go ahead and read it up. Once done comeback here to read further. Once project is synced, add the android-maven-gradle-plugin to classpath in build.gradle file at root project level. Next, apply the android-maven-gradle-plugin to the build.gradle file at library module level. Also add the group variable. 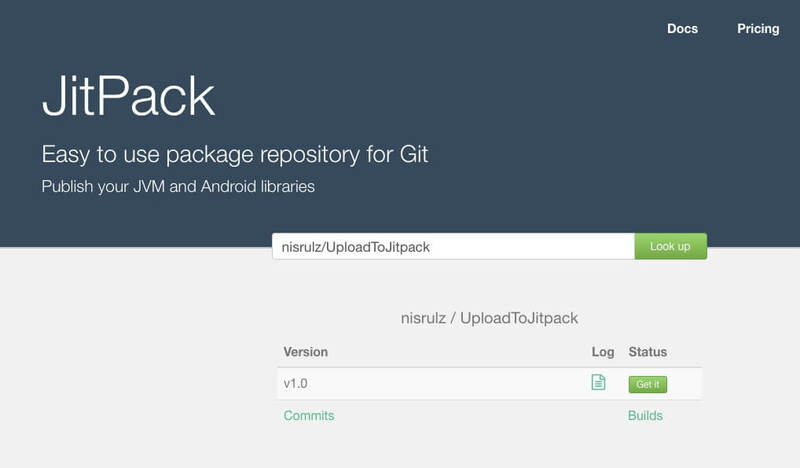 git tag -a 1.0 -m "v1.0"
Once everything is pushed and the release TAG is also pushed, goto https://www.jitpack.io/#username/reponame where replace username with your github username and reponame with the reponame of the android project. Select the release you would like to share by clicking the ‘Get It’ button next to the list of releases of your repository. And thats it for this series. I hope it helps people to deploy their android libraries for the world to use.